Are you ready to be entertained? Like, seriously entertained? Because MasterChef has nothing on this incredible show! Cookin’ Nanta is kinda hard to describe, but in a nutshell it involves acrobatics, magic tricks, non-verbal comedy, pantomime, music and of course COOKING. 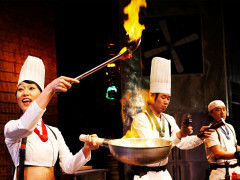 As the longest-running show in Korean history, Nanta is wildly popular and captivates every audience who lays eyes on it. Audience participation is key to the show, so expect to be getting involved in the action! But What Is Cookin' Nanta? 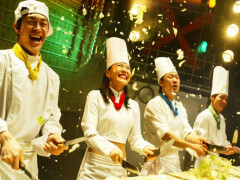 The premise of Nanta is simple: a group of chefs have to cook up a huge wedding banquet in just one hour. As they slice and dice their way through amazing cooking feats, they also use whatever’s at hand - from knives to saucepan lids - as percussion instruments. The result? Traditional Korean samul nori music that will get your feet tapping. Meanwhile the physical comedy of the chefs will have you in stitches as they dance and drum their way across the stage in a shower of vegetable pieces. Holy shitake - putting together dinner never looked so fun. 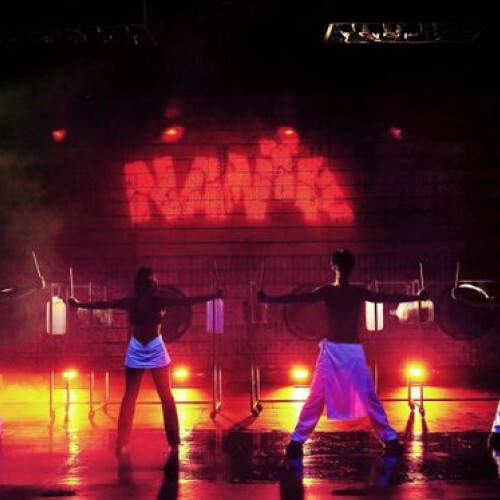 Don’t miss this electrifying performance, click the link to grab your tickets while they're hot!